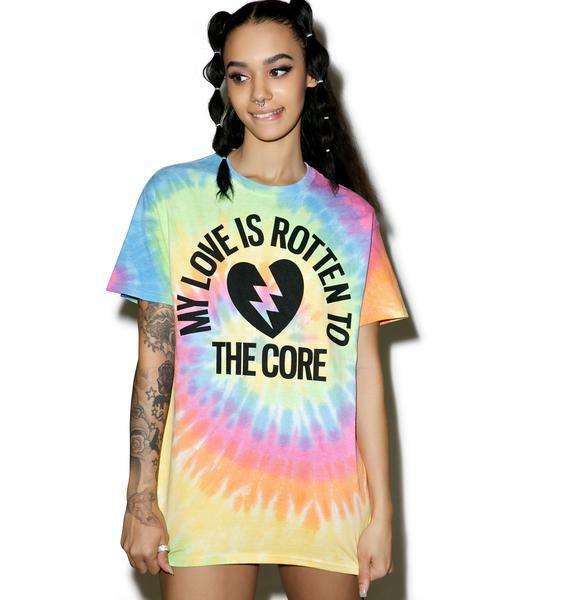 Burger And Friends Rotten 2 The Core Tee cuz ya once cared too damn much. 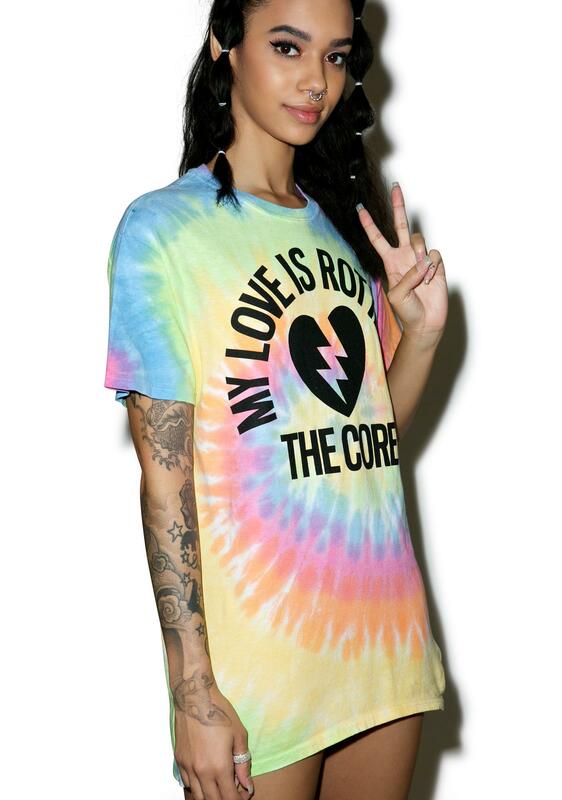 Now ya DGAF with this trippy short sleeve tee covered in a super vibrant tie dye. 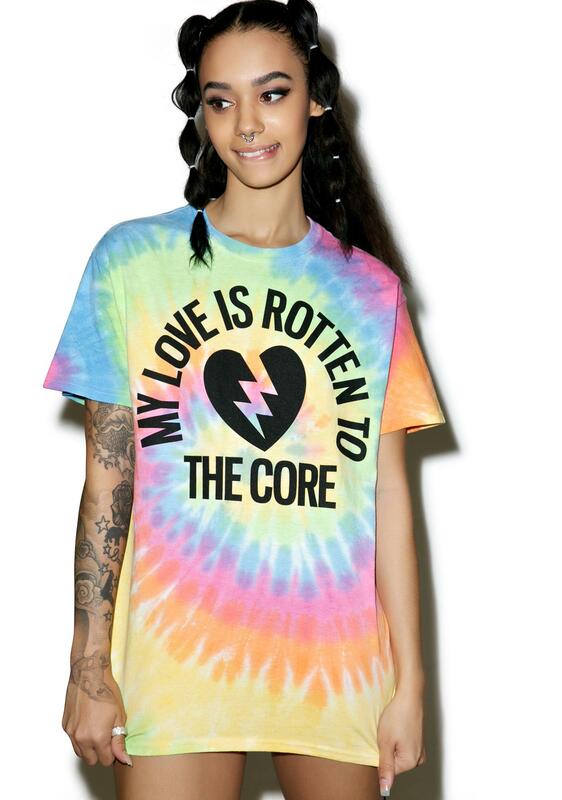 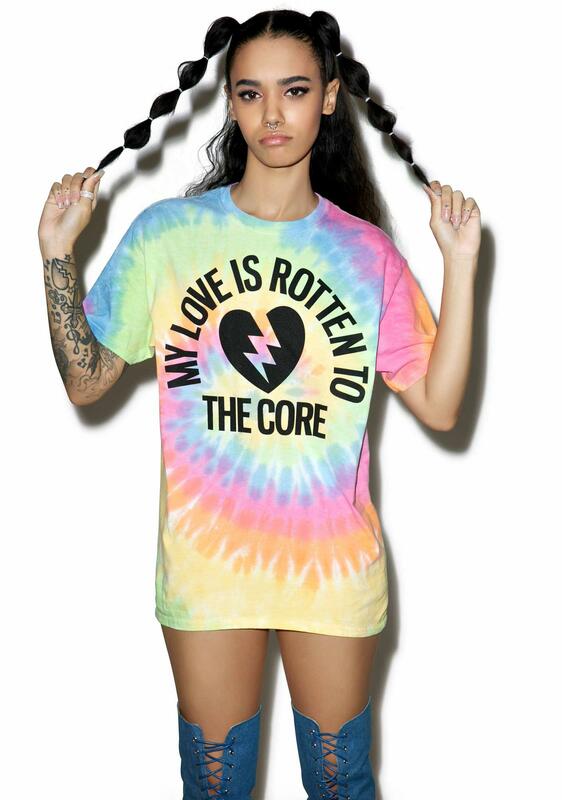 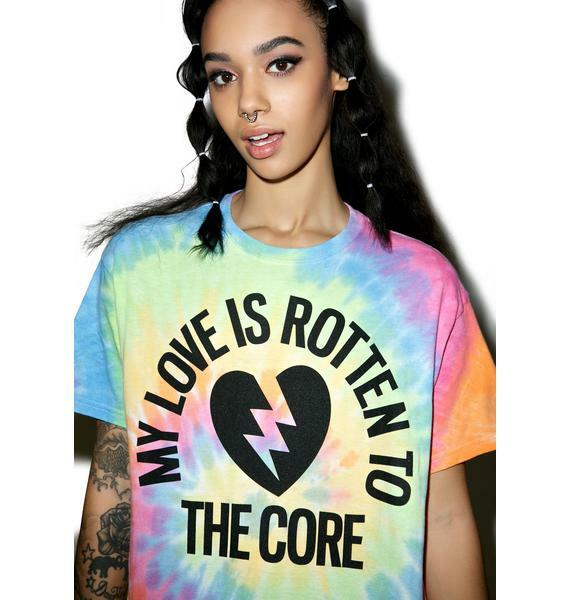 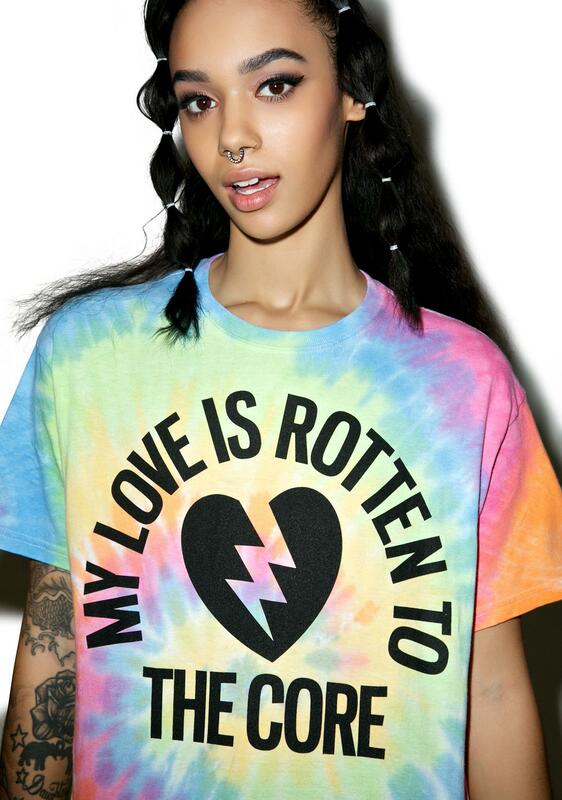 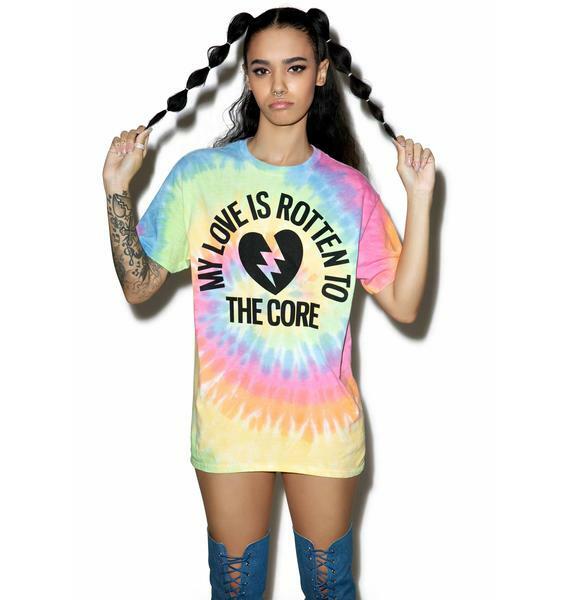 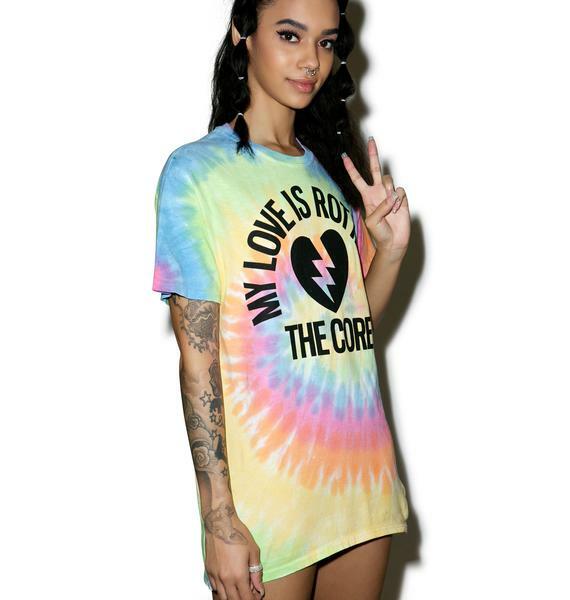 Featuring a perfectly relaxed fit and broken heart graphic that reads, “my love is rotten to the core” after all fuk luv.